Do you garden and have rhubarb coming out your ears? 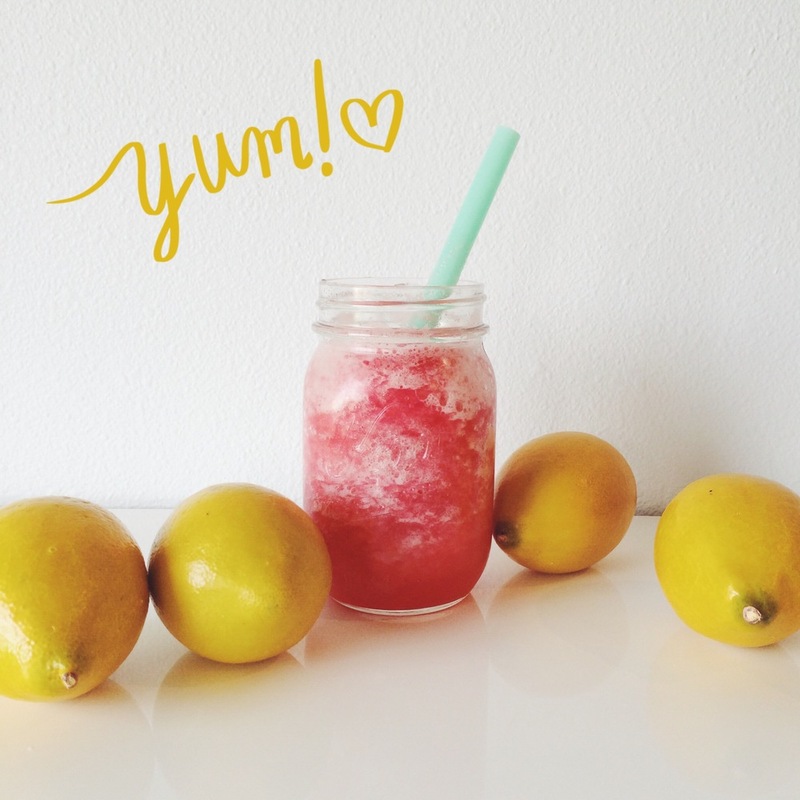 Or maybe you're just in the mood for a slushy summer drink? Here's a yummy recipe to try! Boil rhubarb in water until it's soft and stringy. Drain (keeping the drain off). Add sugar, Jell-O, lemonade and lemon juice, and mix until dissolved. To serve, fill glass ¾ full with frozen slush, and top with Sprite. Optional: add a shot of blue raspberry vodka. For 8 cups rhubarb, we bought seven stalks (we were planning to buy eight, but a couple of them were quite large). I first tasted this delightful drink at my friend Joa's wedding four years ago. I'm a lover of fruity and slushy drinks, but I had never tried rhubarb before, so I was hesitant. But I love sour candy, and rhubarb is seriously like a sour patch kid from the earth.